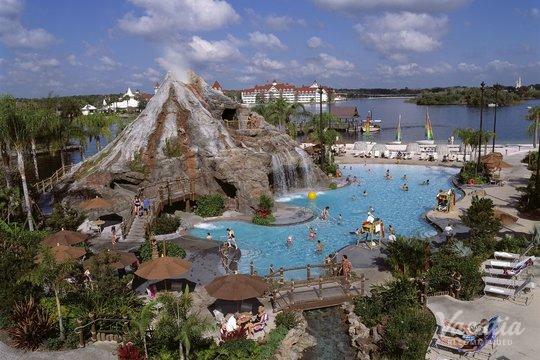 Set on the serene shores of a Lake Eve, The Fountains timeshare resort is at the center of Orlando’s many attractions. Two- and three-bedroom villas feature living and dining areas, a full kitchen with granite countertops and stainless steel appliances, sleeper sofa(s), a washer/dryer and private balcony. All rooms are furnished with rich hardwood cabinetry. Two-bedroom villa options include standard, regular, deluxe and superior. The three-bedroom presidential suite offers two separate living rooms and a kitchen with its own dining area, in addition a larger formal dining room. The Fountain features Springs: an incredible, 75,000 sq. 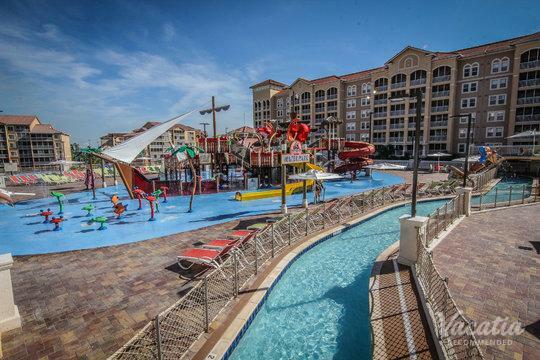 ft. water park with a zero-entry swimming pool, two water slides and hot tubs. Extensive fishing and paddle boating is available on Lake Eve. Stay in shape at the fitness center. Treat your kids to fun at the clubhouse with full arcade and billiard table, kids’ activity room and playground. Those preferring a more leisurely pace can stroll through the property's gardens or along the boardwalk and pier. Enjoy a surrey bike ride or rejuvenate in a massage cabana. The Fountains has a BBQ area, as well as casual on-site eateries including H2O Arcade and Bar and The Coffee Shop. 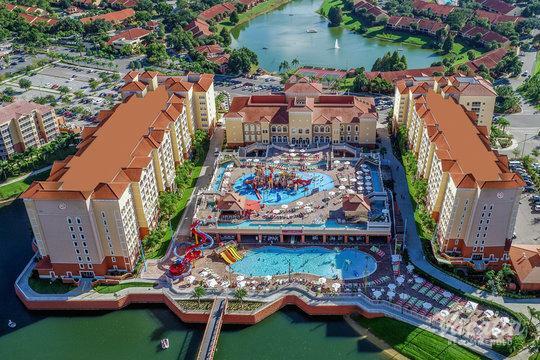 Orlando's top amusement parks, such as Sea World, Universal Studios and Disney World are just moments away.